The Garden of Sals is in the heart of lush greenery in the picturesque village of Sougraigne in High Valley of the Aude, Corbières Vertes territory. There is a wild and preserved nature as well as the starting point of many hiking trails. Nicole and François will welcome you in an old 15th century, with a warm, serene and family. 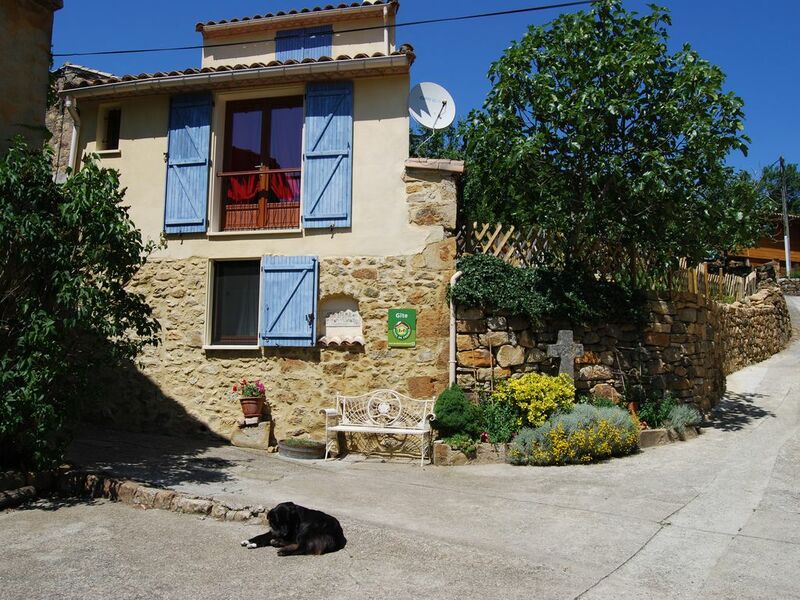 Cottage for 4 people, it is fully equipped and has a private garden. Covering an area of ​​65m2 over 3 levels, it consists of a kitchen, a living room and a dining area with a wood stove. It has a bedroom with a 160cm bed of the adjoining bathroom and toilet. You access a mezzanine with a small spiral staircase and can accommodate 2 beds for children. An interpretive trail "Between Salt and Glass"
Fi access throughout the property.